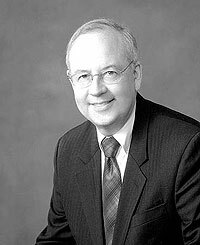 Kenn Star admitted FBI agents investigating the death of Deputy White House Counsel Vince Foster learned that Hillary’s humiliation of Foster in front of staff pushed him over the edge and triggered his suicide. The killing of Vince Foster was clearly a cover-up for the body was moved to the park. Only later did they bring his car to the lot, forgetting to cover-up how he got there. Hillary attacked and humiliated Foster in front of other White House aides a week before he took his own life on July 20, 1993. Hillary put him down really, really bad in a pretty good-sized meeting. She told him he would always be a little hick-town lawyer who was obviously not ready for the big time, according to former FBI agent Coy Copeland. Foster was profoundly depressed, but Hillary’s humiliation of him was the final straw because she embarrassed him so ruthlessly. Starr admitted to leaving out the meeting in the FBI report to Congress.